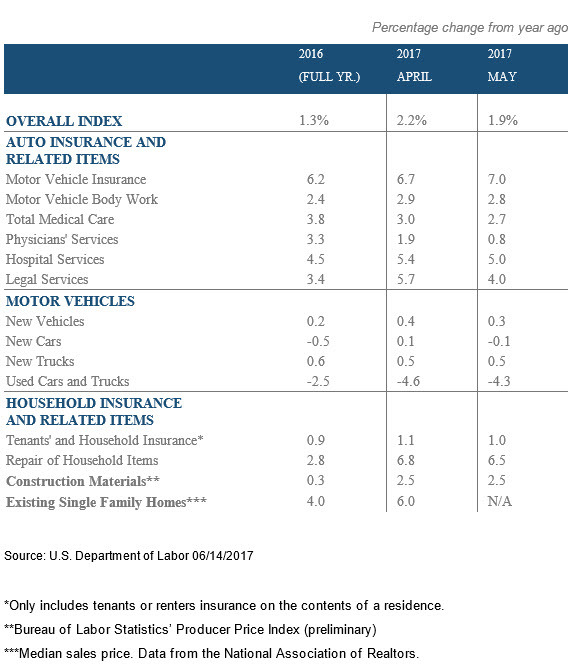 Auto insurance rates increased 7 percent from a year ago, according to the U.S. Department of Labor consumer price index. That figure is for rates nationwide; Washington state rates increased 5.9 percent in 2016, and 2017 rates are on pace to match or exceed that. Washington consumers are feeling the effects of the increases. This year alone, we’ve fielded 421 calls and 140 complaints about auto rate increases. People are driving more miles. As the economy has rebounded, people are driving more miles per year, which leads to more collisions. Car repairs are costly. Newer vehicles are equipped with high-tech features, such as backup cameras, which are intended to improve safety, but they also cost more to repair. For example, a relatively minor fender-bender used to be not very costly to repair. However, if your car has a backup camera, your bumper contains cameras that have to be installed in a specific way in order to work properly. Cars have become computers on wheels. Distracted driving. According to the Washington state Traffic Safety Commission, distractions were a factor in 40 percent of all collisions in 2014, the single most common contributing factor in all collisions that year (read more). The number of collisions in your area contributes to increased insurance premiums -- if collisions increase, your rates are will as well. A new state law takes effect on July 23 that greatly restricts drivers’ electronic use and doubles the fine for infractions. If that law helps reduce collisions, the effect could be beneficial for auto insurance rates. Washington state Target Zero has information about the new law and what it will mean for Washington state drivers. Some insurance companies are telling their customers that a new OIC rule about credit scoring is causing their rates to increase. Here are the facts: Insurance companies are allowed to look at consumers’ credit scores when setting rates for homes, autos and other personal property – they are not required to, but most of them do. We found that companies were inconsistently using credit scores, and it was causing some people to face rate increases that seemed unfair or discriminatory. For example, if a 19-year-old applies for insurance and the company runs a credit check, the score is not likely to be very high. If the company uses that same credit information for the next 10 years when pricing the policy, and meanwhile the consumer’s credit score improves, that person is unfairly being charged more than they should. The new rule requires insurance companies that use credit scores to do so consistently. All companies that choose to use credit scores must run them at least once every three years for all of their customers. Many consumers’ credit scores improve over time, which means their rates should go down. However, if the insurer doesn’t run credit checks for policy renewals, the rule doesn’t apply – they won’t be required to start running credit checks if they weren’t already doing so. Shop around. Rates will continue to increase in the short-term, but you may find a lower rate with a different company. When you shop around, ask the company if they’ve filed or plan to file any rate increases. Ask about discounts. Some companies give discounts if you have other policies with them, if you’ve been accident-free or have a clean driving record for a period of time, or if teen drivers maintain a certain grade-point average. Consumers who drive few miles may be able to find discounts, or may save money with usage-based insurance.